That’s right: Duran Duran are back! Those four words evoke squeals of glee worldwide from Gen-Xers whose once dormant teenage crushes on wild boys Simon LeBon (and/or John Taylor, Roger Taylor, and Nick Rhodes) are rekindled anew. The lads from Birmingham never went away exactly, but this debut single from their upcoming 14th studio album, Paper Gods, captures the formula that launched them to superstardom more than three decades ago. They’ve teamed up again with Mark Ronson (who produced their 2010 album All You Need Is Now), Nile Rodgers (who produced their 1984 hit “The Wild Boys” as well as produced and played guitar on “Notorious” in 1986), American singer/songwriter/soul chanteuse Janelle Monáe, and former Red Hot Chili Peppers guitarist John Frusciante to create a fresh, revitalized sound that incorporates modern funk with their signature ‘80s Britpop. The result? Pure danceable magic. 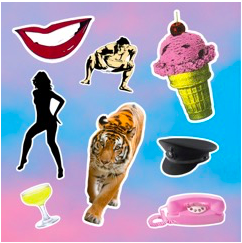 Paper Gods is due September 11 (UK) and September 18 (US) on Warner Brothers Records. And now for something completely different: the Nashville sound. Music City is so much more than cowboy hats and country music. It also includes plenty of loud, in-your-face rock ‘n roll with a true ‘90s-inspired grunge and punk vibe. Case in point: Bully, the rising indie rock/punk/pop band with as much grit in their sound as lead singer Alicia Bognanno has in her relentless vocals. This is definitely a band to watch! The group – voted Nashville’s Best Band of 2014 – will release their first full-length album, Feels Like, this week on StarTime International/Columbia Records. They have already toured with the likes of Best Coast, Broken Social Scene, and Superchunk, and they wowed crowds at Bonnaroo last year. With the release of this album, Bully show no signs of letting up or quieting down. Most music fans automatically associate Seattle with the grunge genre, and for good reason. The birthplace of grunge is ground zero for the raucous, angst-ridden sound made popular in the days of flannel, ripped jeans, and shaggy haircuts. Today’s Seattle sound still has the same edge and vitality, only with more maturity. Those formerly flannel-clad musicians are more likely to sport beards while buying organic produce and craft beer than strumming away their days in a garage or moshing at night. Fortunately for fans of the organic ‘90s sound whose musical tastes have matured, Seattle’s Daggerhands offer pure alternative hooks that sound simultaneously fresh and retro. This is cathartic music that helps you forget that you’re not a teenager anymore. It takes your mind off “adult” things (like day jobs and mortgages) and instantly transports you back to those carefree days when life was simpler and loud music was your primary sustenance. 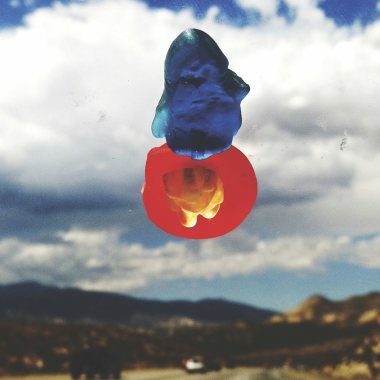 Lead singer John Totten has done his fair share of travelling across America: he relocated from his native Tennessee to Seattle (via Montana) a decade ago with his previous band, The Quiet Ones. The scorching guitar licks on Daggerhands’ latest single, “Wild Horse Is,” rival the heat of the hottest southern summer day, while the jangly, fuzzy layers of “Blues in Gangrene” make for a perfect roadtrip soundtrack. Daggerhands include Totten’s brother Chris on bass, Kerrick Olsen (also an alum of The Quiet Ones) on guitar and vocals, and Eric Junge on drums. 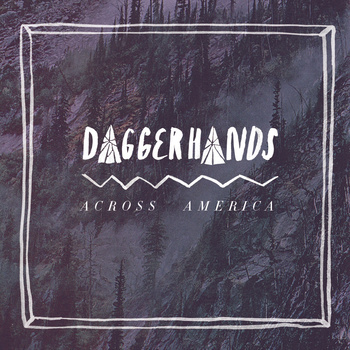 Fans of ‘90s-era alt-rock (Sonic Youth, Pavement, Guided by Voices) have a new band to champion in Daggerhands.